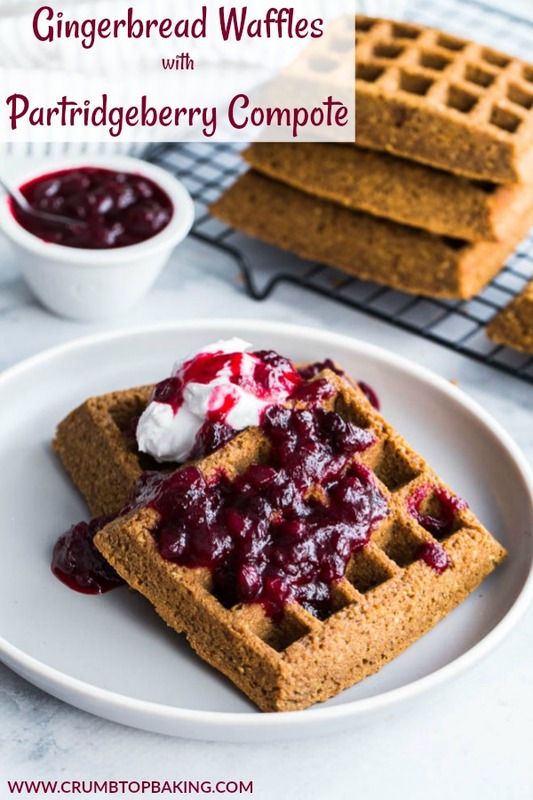 Gingerbread Waffles with Partridgeberry Compote are hearty and wholesome, made with steel-cut oats, whole wheat flour and all the warming spices of the season! Serve with coconut whip for an added breakfast treat! Happy Christmas Eve! I know, I’m cutting it close with this one, but I couldn’t let the season pass by without sharing these Gingerbread Waffles. They’re festive, filling and perfect for your Christmas Day breakfast! While I know many people love crispy waffles, I prefer my waffles thick and fluffy, with a texture similar to a cake or muffin. So when I was looking for inspiration for these waffles, I looked to these Cranberry Orange Overnight Oatmeal Muffins. 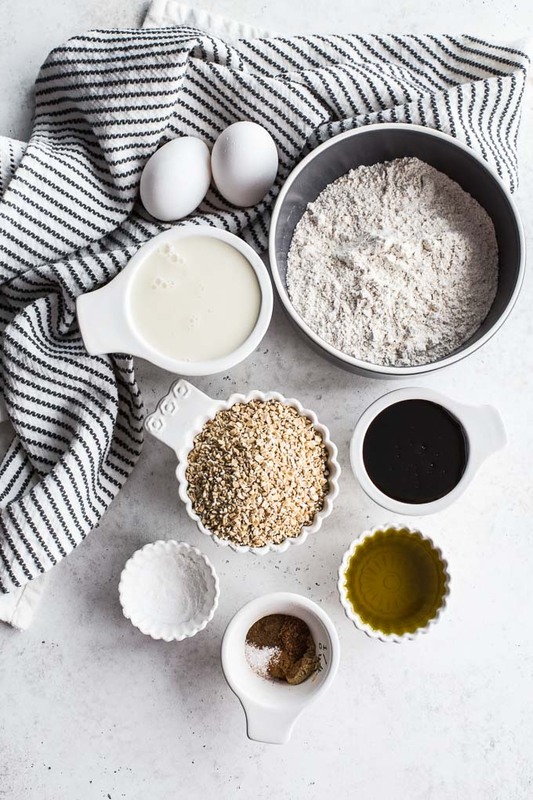 They have overnight steel-cut oats as their base, which creates a moist, cakey and nutty texture. In order to fully appreciate these waffles, you need to serve them with partridgeberry compote and coconut whip. 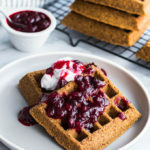 The hint of molasses and ginger in the waffles pairs nicely with the tartness of the partridgeberries and the creaminess of the coconut whip. It’s really like eating dessert for breakfast. And tis’ the season, right?! Partridgeberries are related to cranberries, with a similar tart taste and deep red colour. They’re also high in vitamin C and antioxidants. In other parts of the world where they grow, they’re most commonly called lingonberries. In Newfoundland, they usually grow in barrens and ripen throughout September and October. They freeze well, and are great for making jam! One of my favourite ways to enjoy partridgeberries is in a partridgeberry jam tart, which is made with molasses, butter, tea, flour, ginger, cinnamon and cloves, and filled with homemade partridgeberry jam. My father happens to make the best jam tarts! Why am I telling you all of this? Because these Gingerbread Waffles, with their molasses and spices and partridgeberry compote, remind me of those jam tarts. If you don’t have partridgeberries, cranberries have a similar tart taste and make a lovely substitute for the compote. I used my Epicure silicone mold to make these waffles (not sponsored, just love it), but a waffle iron would also work. Just adjust the cooking time according to your waffle maker. 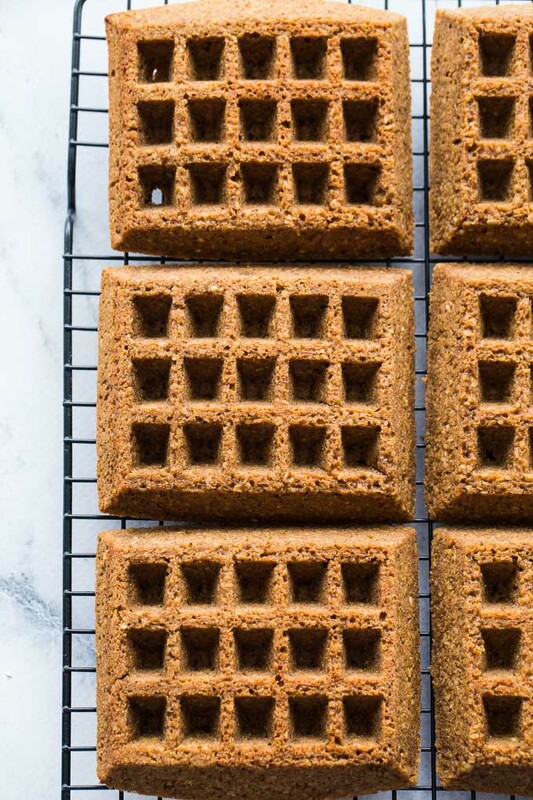 If you make these Gingerbread Waffles, I would love to hear about it in the comments below! 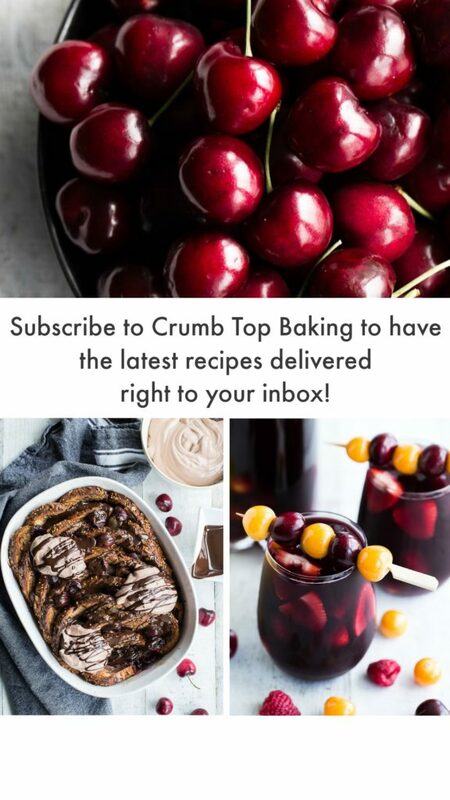 Or take a pic and share on Instagram by tagging @crumbtopbaking. Happy Holidays to you and your family! I hope you enjoy good food and laughter with loved ones during the festive season. And thank you for stopping by Crumb Top Baking throughout 2018. It’s because of you that I keep doing what I love! I loved everything gingerbread flavored this season, Leanne! These look phenomenal! Love the compote on top. Hope you and your husband had an amazing Christmas! Thanks so much Haylie! We had an amazing Christmas. Hope you and your hubby had a good one too! Happy New Year! I could eat gingerbread year-round because I love it so much so I think I’m going to try these this weekend. They sound incredible, and I love the idea of adding some coconut whip! Happy New Year, Leanne! Thanks Kelsie! I love gingerbread too. Eating it year-round sounds good to me! Let me know what you think if you try these waffles. And Happy New Year! Thanks Katherine! It was quick but an absolutely lovely holiday! Love gingerbread too. I could seriously eat it year round! I think I prefer my waffles a bit cakier too rather than crispy and this compote is the perfect alternative to my usual maple syrup. 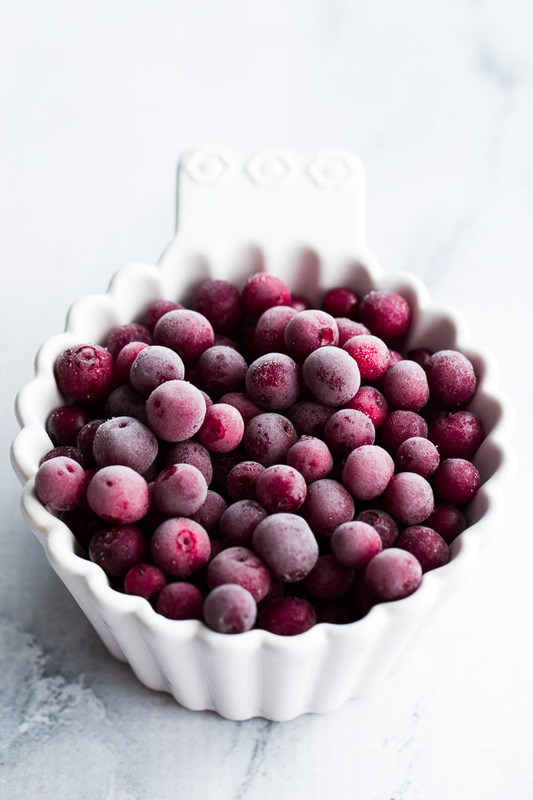 I loved reading this post about these berries and how they’re related to cranberries. I am also really enjoying your photography Leanne! The pictures here are stunning. Thank you so much Christie! I really enjoy the photography element! And glad you enjoyed reading about partridgeberries! 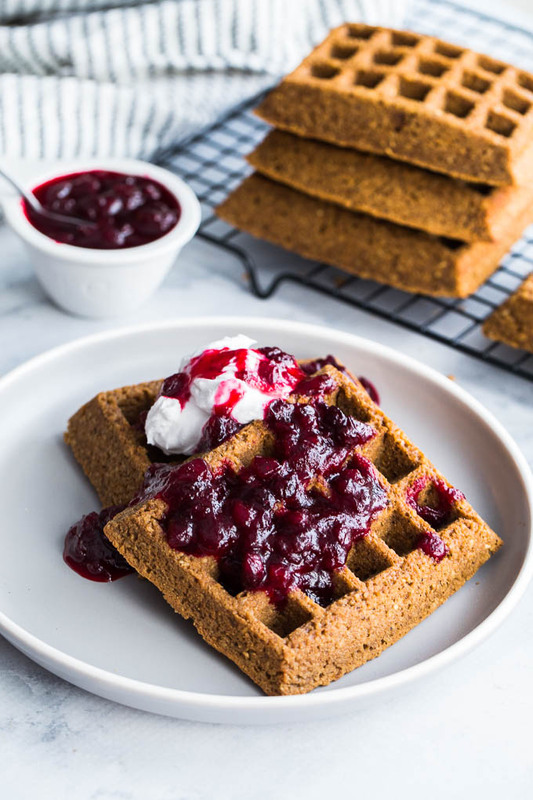 I can’t get enough gingerbread this time of year so these waffles are right up my alley! And I’ve never tried partridge berries before, so interesting to read about them! I’m with you Tanya! Love gingerbread! So glad you enjoyed reading about partridgeberries. I’m enjoying some partridgeberry chia jam as I type this! Happy New Year! Thanks Nicole! Gingerbread and partridgeberries go so well together!